Sometimes life is better than fiction. Is there any novelist who could have got this extraordinary story so perfectly right, inventing it: the violence at the heart of it, the suspense, the succession of revelations, the passions so raw and inchoate that they have a mythic force? And then there’s the grand sweep of the narrative, beginning in the bleak poverty of an obscure cottage in the Forest of Dean, acted out finally on the national stage. In January 1928 Harry Pace, aged 36, died at home after two weeks of agonising abdominal pain, vomiting and diarrhoea; he had suffered on and off for two years with gastric problems, including a spell in hospital. Harry was a quarryman on £2 a week, who supplemented his income by running a herd of sheep on common land. Leaving a wife, Beatrice, and five children, he died with the local women around his bed – Beatrice, her friend Alice, and the “uncertified midwife” who had delivered several of his children. In the inimitable idiom of the time, Alice said he “passed away peacefully with his wife’s name upon his lips”. Before Harry could be buried, his mother and siblings made veiled accusations of foul play against his wife. A post-mortem was ordered, and quantities of arsenic were found in the body; the hospital doctors had always wondered whether Harry’s symptoms could be caused by the arsenic in the sheep dip he regularly used (packets of Battle’s dip were kept on the top shelf of a high cupboard). A preliminary CID report, however, was sceptical about the possibility of either an accident – the dose was too large – or suicide. Why would anyone poison himself excruciatingly over long months? Harry’s relatives told detectives that Beatrice had “bad ways”, and that Harry “was not being done right by”; they hinted at affairs with men, including Alice’s husband. At the opening of the inquest in the George Inn, Coleford, a sheep marked with Harry’s initials appeared at the door and Harry’s sister Leah was taken with a fit of hysterics – or so the Dean Forest Guardian reported. ‘”One of his lambs! He loved them all,” she cried. “They never come so far from home as this.” A novelist writing a period piece would struggle to come up with anything so perfect. It’s a poignant touch, too, that the Paces’ isolated home – “showing signs of extreme poverty”, the detectives said – was called Rose Cottage: someone’s dream of beauty. Trying to imagine the past, it’s the language we don’t get right. Translating experiences out of the idiom of another era into contemporary expression is as fraught with loss as any translation between languages. John Carter Wood’s book about the Pace trial works because of his sober and scrupulous assembly of the evidence, quoting the words that were spoken and written at the time so we can feel the textures of the material for ourselves – the found poetry of precise reportage. 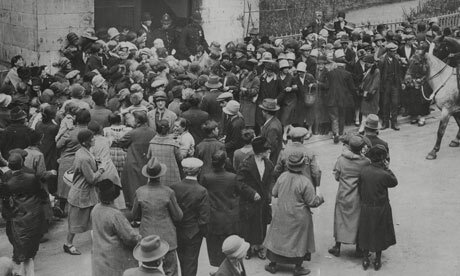 There’s a rich vein for him to mine, too: witness statements and police reports, extensive coverage in the local and national press, Beatrice’s letters from prison, memoirs published by her and her daughter after the trial, and a collection in a Nottingham archive of letters from an overwhelmingly sympathetic – and female – public. Part of Wood’s focus is on what the Pace case tells us about the phenomenon of celebrity in its era. As the ugly details of Beatrice’s marriage to Harry Pace emerged – he hammered her pet dog to death, he tied her to the bottom of the bed in her nightdress in the cold, he beat her until she miscarried – she was taken up by the press and the public as an icon of martyred female suffering. The newspapers tend to sententiousness and orotundity, though it’s impressive how much of their outrage was directed against the casual cruelty of police procedures. What pours from the fan letters is on the wilder side and very moving: “Night & day you have been in our thoughts & I may say how we have grieved for you during your great trouble”; “I have thought so much about you as if you were my own sister”; “I have a baby nearly two, & I realise how you must have felt leaving your dear baby behind”; “I have had many a blow from him & he has threatened my family and myself with a knife and once tried to cut my eldest daughter’s throat”. Wood has the academic’s virtues, the opposite of the novelist’s. No invention, no effort to imagine himself inside his characters, just sober reportage, inhibited by a good historian’s scruples. This isn’t quite another Suspicions of Mr Whicher, he doesn’t write with Kate Summerscale’s bravura. But his scrupulousness makes the book a gripping read anyway – we don’t need anything written up. What could be more suggestive than Elton Pace’s testimony, claiming Beatrice was “always saying she wished my brother dead”, and that “she wished to be rid of the mingy old bugger”? He said he saw Harry “doubled up with pain in bed” and that Beatrice had shouted, “Harry, Harry, you be dying, we shan’t see you much longer”. Beatrice’s lawyer countered that Elton hated her because he’d “made indecent overtures to her” and attempted “an indecent assault” when rebuffed. It’s the dark impenetrable mess of it all that’s so enthrallingly real: the accusations and counter-accusations, the dirty bottles with traces of treatment for foot-rot, the sickly baby Jean, the hundreds of dolls sent by the public for little Doris, the extraordinary crowds in the Gloucester streets to see Beatrice walk free. Who knows what really happened in Rose Cottage? Only art can move through the material solidities to the truth at their heart. 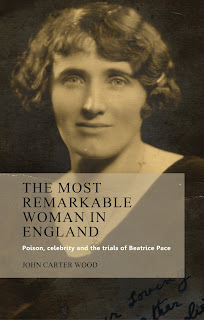 The most remarkable woman in England by John Carter Wood out now. Tessa Hadley’s novel Married Love is published by Jonathan Cape. Category: Anthropology, Cultural Studies, History, Sociology	21 Comments.